How do we choose our luxury hotels? 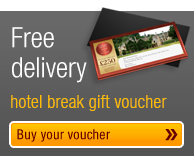 We provide the UK's highest quality luxury hotels and short breaks at attractive prices. If you would like to know more about the benefits of becoming a hotel member you will need a promotional code to enter the site.